Integrating all digital marketing channels together, cohesively. Your digital marketing strategy is still very much the heartbeat behind any Marketing Manager's day-to-day. Without a Digital Marketing Strategy how can you know if you're achieving what you need to achieve without a plan and goals? Let us help you understand what your customers think of your Brand, through Mystery Shopping, and Website Usability Testing. Our comprehensive User Experience, Brand Experience and Customer Experience research, testing and mapping will give you a fantastic start to growing your business in the right direction. Once you understand what makes your business unique and what needs you're meeting, we can design an effective Corporate Identity and Brand Strategy for your business. We can only start with Graphic Design once we know what appeals to your customers, and what your competitors are up to. Video Marketing is also definitely the way to go. Then we can put all of the above strategic thinking into practice with award-winning creative. Check out some of our latest work here. Influencer Marketing is the only way to reach customers, and build trust. Become an influencer to your team internally or on the global stage. Both are extremely beneficial depending on the peaks you would like to reach. Kingmake Me has the ability to grow your following as an influencer and thought leader through various mediums of Social Media, Content Marketing, Brand Management and Press. Let us start your KingMake.Me journey today. We’ll make you the KING of the world! Is your Website Amazing, and is it on Page One of Google? The next step is to flesh out your Digital Marketing Strategy and identify how it integrates with your marketing strategy. The first place to start with digital marketing is your Website Design, your website is your digital businesscard and the first place that anyone turns to before making a decision on whether to work with you or not. Your website will work day and night for you through great Website Development and Design, Graphic Design and Animated Video options that will make your offering and services stand out. Your awesome new website has to turn up on page one of Google (also known as Search Engine Optimisation or SEO) otherwise what's the point if you can't be found for your search terms! As this sometimes takes a while before you rank organically, we suggest taking out a few Google Paid Online Adverts. This will make sure you are found by your customers where they are searching, in Google. We can also turbo boost your paid advertising with something very special called Neuromarketing that will take your PPC to the next level. Having a unique, compelling and clear Social Media strategy is critical when entering the online and social media space. Once the strategy is worked out, we can assist with designing Social Media Marketing content using video storytelling that is compelling, engaging and builds an online community of fans. Engage and captivate audiences with a top influencer marketing strategy to amplify your band and reach new customers. Want to turn customer enquiries into sales? Then Email Marketing is the way to go. A well thought out Email Marketing strategy and monthly mailers will take your business sales through the roof. You will need to couple this with a Lead Generation Strategy if you don't have email addresses to start with. Once we have written your compelling Thought Piece, sent to to your Email database, posted it as a Blog on your website, and sent it to Press, we will also integrate it into your monthly Social Media feed, achieving an beautiful integrated synergy of comms that is cost effective, but most importantly, effective in getting sales. The only thing that's going to take your social media content marketing to the next level, is authentic video storytelling, based on turning your customers, your executives, your staff, your brand and our product into influencers. Video business cards help build your brand, online. How do you Make Everything Integrate? It's easier for us to integrate all your channels when we manage all of them. What makes us unique and special is that you have a single Key Account Manager who looks after all your projects, and everything is done under one roof. From strategy, conceptualisation, campaigns to artwork, execution, implementation, management and optimisation. Meet the team, give us a call and let us #GrowthHack your business today. 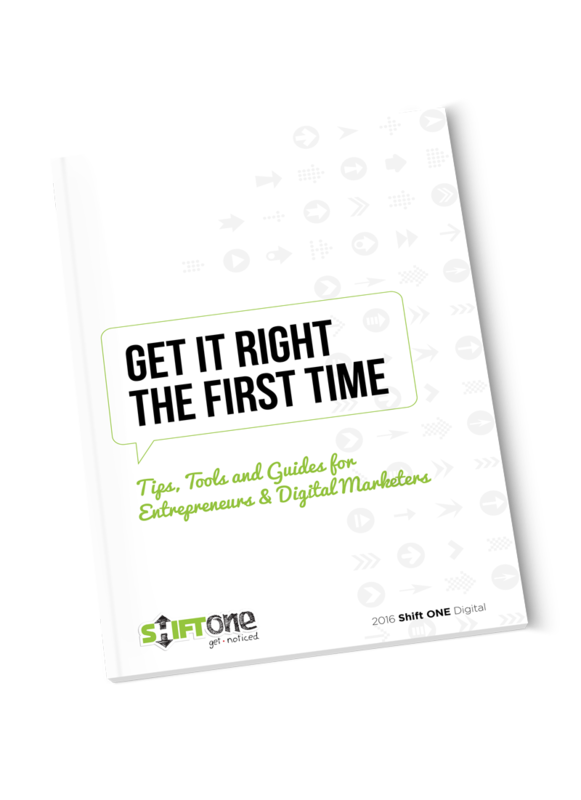 Tips, Tools and Guides for Entrepreneurs & Digital Marketers.